The Principality of Moldova was established in 1359, but in 1538 it became a tributary to the Ottoman Empire. The territory of Moldova was ceded to the Russian Empire in 1812 in accordance with the Treaty of Bucharest. After World War I the Moldavian Democratic Republic within a federal Russian state was proclaimed. And in 1924 the Moldavian Autonomous Soviet Socialist Republic was formed. The first democratic elections for the local parliament were held in Moldova in February and March 1990. In June 1990 the Parliament adopted the Declaration of Sovereignty. Moldova gained independence only on August 2, 1991, after the failure of the coup in Moscow. 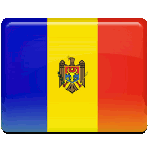 Independence Day is a public holiday in Moldova. President traditionally delivers solemn speech and inaugurates new constructions sites. Moldavians enjoy concerts, sports events and exhibitions.